We're seeing more and more companies investing in content marketing, and that's a great thing. Many of them, however, are putting less thought than they should into the specific goals behind the content they produce. 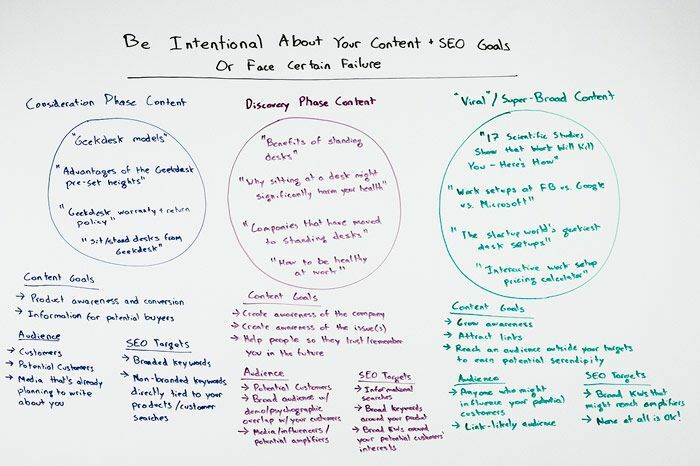 In today's Whiteboard Friday, Rand covers examples of goals for targeting different kinds of people, from those who merely stumbled upon your site to those who are strongly considering becoming customers.